The Colliers' Strike. England victorian worker clothes 1898. Home » The Colliers’ Strike. England victorian worker clothes 1898. The Colliers’ Strike. England victorian worker clothes 1898. The Colliers’ Strike in South Wales. Tip Girls. The Colliers’ Strike. England victorian worker clothes. 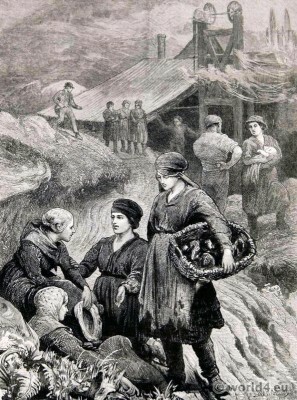 The Colliers’ Strike in South Wales. 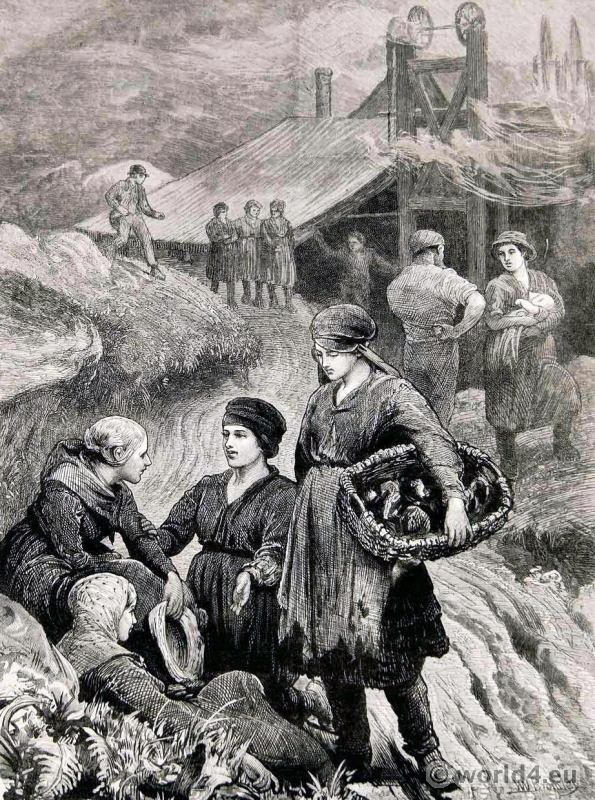 Tip Girls outside of a coal mine in South Wales, by William Bromley (1769-1842). Free Ebook: The colliers’ strike in South Wales by Alexander Dalziel. This entry was posted in 1890, 19th Century, England, Victorian period and tagged Victorian fashion, World Theater on 11/6/14 by world4.